Venue - 1: Directorate of Admissions, Osmania University, Hyderabad-500 007. The Schedule given below is for the candidates allotted to all colleges (Campus, Constituent, PG Centers and Affiliated Colleges of Osmania, Telangana, Mahatma Gandhi and Palamuru Universities). Note: Only those candidates who are provisionally allotted seats, based on 2nd & Final Phase of web options exercised by them, are eligible to attend the certificate verification. If the candidates are eligible as per rules, they will be issued with provisional admit cards. Detailed instructions for candidates called for certificate verification are available in the website. Candidates are advised to go through them carefully before attending the certificate verification process. Those candidates who have already taken admission in the 1st phase process and subsequently allotted a new seat in the 2nd phase must come with the admit card issued to him/her during 1 st phase for sliding. Without this, candidates will not be issued new admit card. 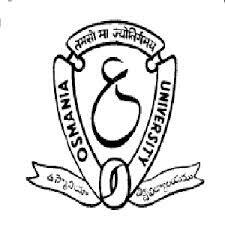 Venue - 2: Directorate of Admissions, Osmania University, Hyderabad-500 007. M.L.I.Sc. (2 yrs. course), M.L.I.Sc. (1 year course) and M.A. Psychology. M.S.W., M.C.J., B.L.I.Sc. / M.L.I.Sc. (2 yrs. 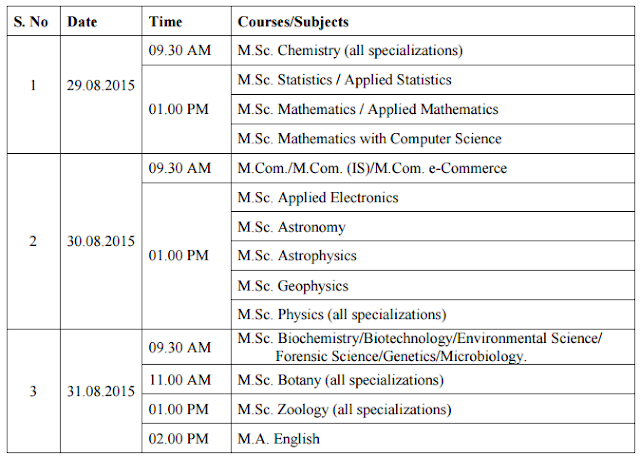 course), M.L.I.Sc. (1 year course) and M.A. Psychology.